CLICK HERE TO CALL RICHARD! ElecFast is your emergency electrician covering Treorchy. We are always on standby so do not hesitate to call us when in need of an electrician. As well as mainly covering 24 hour callout work, we also provide electrical maintenance and electrical installation works. From domestic through to commercial we cover it all. Treorchy 24 hour electricians provide a professional electrical service whether it be midday or midnight, our aim is your recommendation. Being based in the centre of Treorchy on average we can be with you within half an hour of your call. Our Treorchy electricians at ElecFast are all qualified to the latest regulations and can offer a range of different services to you. All of our electricians understand that people want minimum disruption in there lives, so we are here to work with you and get the job done at your convenience, whether that means working late hours or weekend working. Our services provide: designing electrical projects, electrical installations, electrical maintenance, electrical testing (EICRs), PAT Testing or CCTV installations. Treorchy Electricians are used by housing associations, local authorities, utility companies, letting agents, estate agents, private landlords and varying types of other businesses in South Wales. We offer very competitive rates, so contact Richard your local electrician in Treorchy today on 07879993532. Phone Richard your Treorchy Electrician anytime day or night. Treorchy Electricians take on all electrical work. We are here to help you when you need it. We provide a 24 hour emergency electrician service in the Treorchy and South Wales area. Our electrician services are available 24 hours a day anywhere in South Wales - domestic, commercial, or industrial - give us a call and we will come to you, 24 hours a day! Treorchy Electricians are able to carry out works when it suits you, give us a call for fast and professional service. What should you do if you have no power? Firstly you should check all of your circuit breakers and RCD(s) that they are all switched on, try switching them off and back on. What if they are all switched on? You need to check there is power coming into your property, on a newer electricity meter this is more obvious as the display will be lit up if power is present, if not then you need to contact your electricity suplier. Firstly you should try switching all of the circuit breakers off and try resetting the RCD. If it still does not reset then try isolating the power coming into the RCD, if the RCD does not reset then the RCD may be faulty. If the RCD resets when all circuit breakers are switched off then switch them back on, when the RCD trips this will show you what circuit has a fault. It is worth UNPLUGGING all of your appliances and trying to reset your RCD. How can I trust you with my electrics? We are extremely professional and we have been CRB checked and are Registered with the Competent Person (Electrical) Register so you can rest easy. If you would like to know more, give us a call - 07879993532. Richard is a member of the competent persons register. All competent person members have been approved by a Government authorised registration body to work safely and legally to required standards. Richard is fully compliant with strict competent person qualification requirements and has been assessed to ensure his ongoing competence. As a member of the Registered Competent Person scheme, Richard has demonstrated compliance with the Building Regulations associated with domestic electrical work in England and Wales. 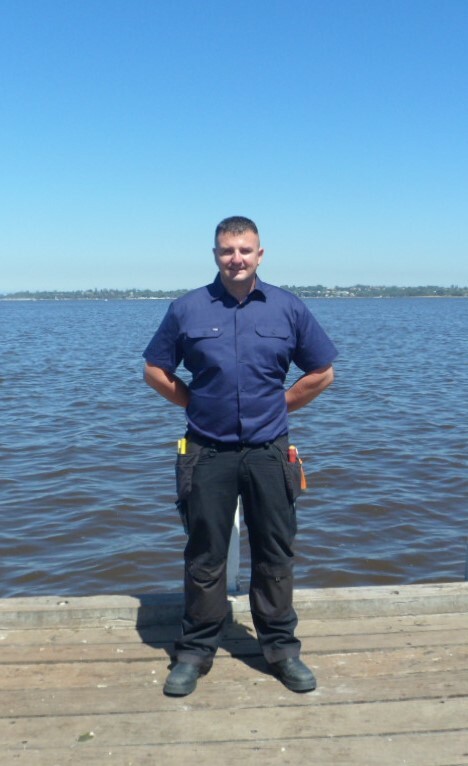 This confirms Richard’s capacity to safely install, maintain, inspect and test all domestic electrical installations. It also highlights Richard’s ability to deal with legally required and potentially costly Building Regulation notifications on your behalf. Please note: We do not give free site visits for quoting; our time is chargeable, we charge a cancellation fee for out of hours appointments and parking charges may also apply.